Would you like your next waiter was a hologram? Definitely, I give for a good story to tell friends, but beyond satisfying curiosity, What purpose does the use of this technology? The same is what called attention to executive director Alex Barrotti, founder TouchBistro, strong advocate of technology is to make people's lives easier, not replace them. The idea of ​​holographic waiter He stayed in that, an idea. The restaurant did not go ahead and future restorers have at their disposal a magnificent example of technological abuse, a light case of mistakes to avoid. The digital transformation restaurants is ongoing, and holograms certainly have no place in them, Like many other technological innovations such restaurants. But as machines, artificial intelligence, macrodata, the internet of things, facial recognition systems and many other knickknacks new generation take over the kitchen and dining restaurant; human contact is not displaced, but clings to its position of vital importance, of improve the user experience with cordiality, affection and personal attention. As indicated by Lin Bob, President franchise Abuelo's Mexican Restaurants, integrating new solutions on the market in the field of restoration it is not incompatible with maintaining human contact within the local. Bob Lin makes full use of interactive menus through tablets that orders are placed without a waiter note. The same goes to pay the bill. But Bob has not downsized. "We consider ourselves a casual dining restaurant standing, so have these points of contact with the guests is very important"Says manager, while it is conceding that the team should thank, at least in part, the immutability of the template to the numerous possibilities for customization of menus that prevent full automation. For the owner of the chain, technology is a way to improve user experience. Workers who come into contact with the customer is subjected to less stress, and thanks to that the care they receive is closer. The industry visionaries that make frontally reject the idea Gather to cut staff. According to the company, he 68% of the guests admit that abuse and automation technology spoils your user experience. Pretender reduce business operating costs regardless of workers can turn against the owner causing a decline in inflow into business. Its more inteligent impact on loyalty and offer exceptional service by applying technological innovations for cutting restaurants. 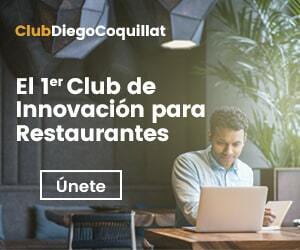 For example, the sistemas CRM (of English customer relationship management) are a technology still little explored in the restoration and have the potential to increase turnover and profits by appealing to the tastes and needs of diners. In any case, he technological abuse It is counterproductive. Prolong the learning period for new hires, expensive energy costs, causing rejection between customers and, Besides, they have a high cost of acquisition. All this sheds light on the way forward: integrated in a human environment and working collaboratively to create synergies specific technological solutions. The future restoration bypasses automation unhinged, or by a digital transformation performed without rhyme or reason. The future of restoration still needs smiles, eye contact and attentive and cordial treatment from the waiters and all the staff working in the restaurant. Human interactions that take place in the restaurant are an asset that owners should learn to value in an environment increasingly dehumanized.